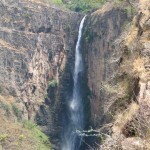 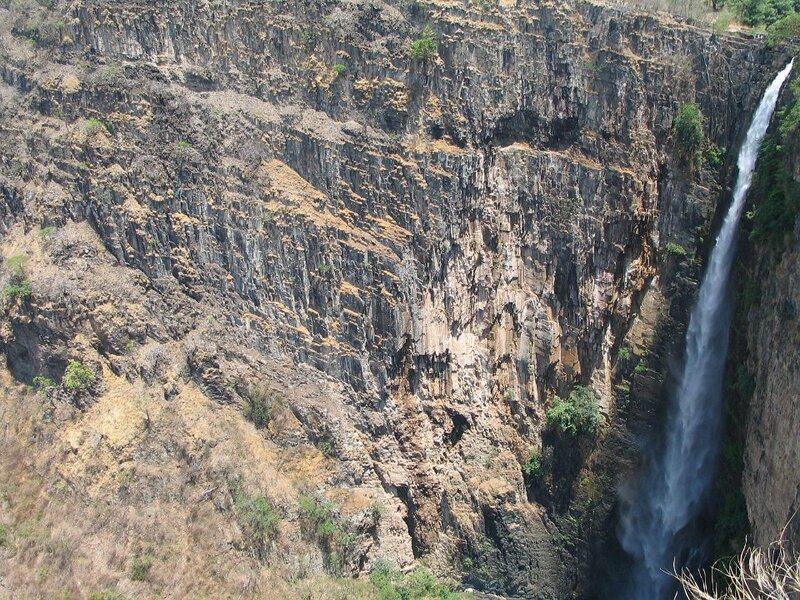 he impressive Kalambo Falls can be found in the Northern Province, 33 kilometers from Mbala on the Kalambo River, which forms the border between Zambia and Tanzania. 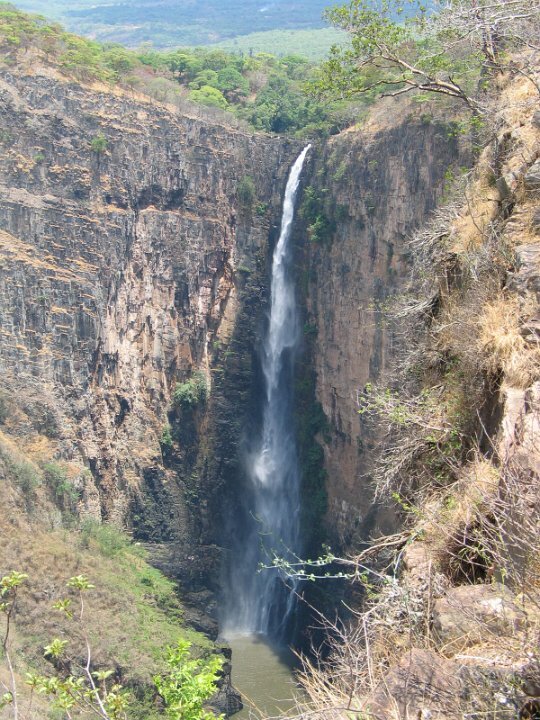 This spectacular jet of water falls in a single uninterrupted stream 221 meters down into the gorge below and then on into Lake Tanganyika. 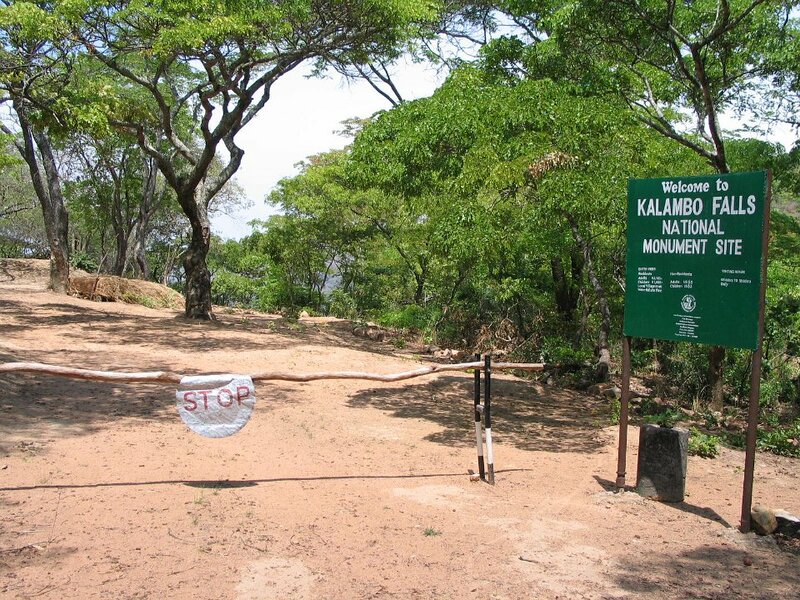 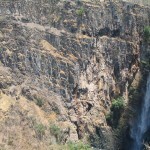 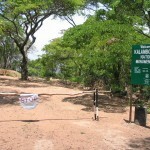 They are the second highest falls in Africa and the twelfth highest in the world. 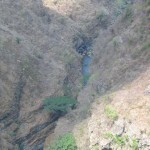 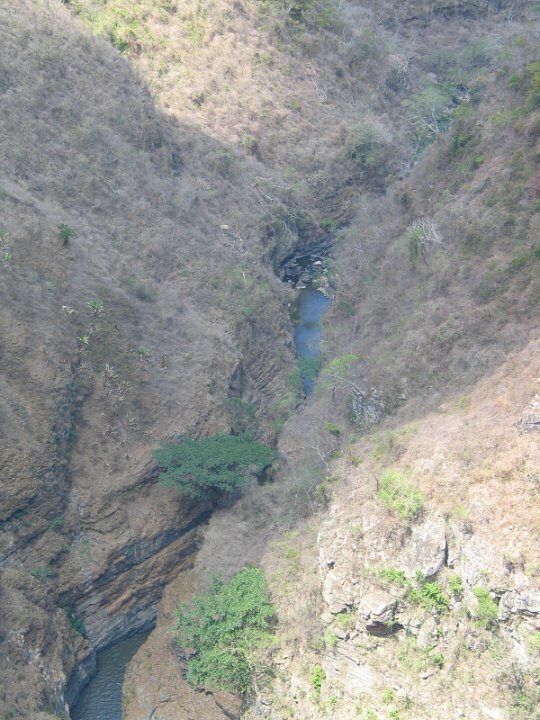 The rare Maribou stork nests in the gorge below the falls.